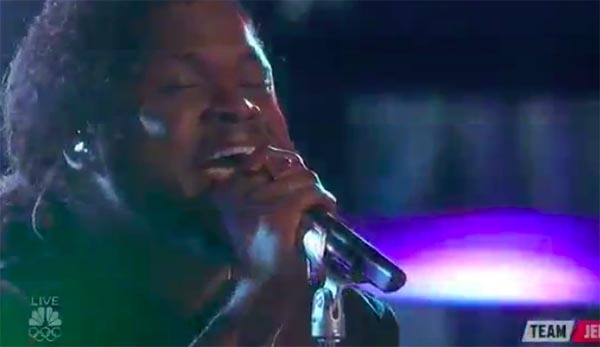 Davon Fleming from Team Jennifer Hudson sings ‘I Have Nothing’ on The Voice Season 13 Top 11 Live Shows on Monday, November 27, 2017. Here’s what the judges her to say about his performance. “You’ve been one of my favorite. You’re singing was incredible. You sings with so much dynamics,” said Blake Shelton. “That at all is a miracle,” said Adam Levine. “I’m watching you sing way to the top,” said Jennifer Hudson. Watch his performance on the video below (uploading). The Top 11 will be singing songs suggested by fans. The Voice airs its second week of Live Shows tonight. Adam Levine, Blake Shelton, Jennifer Hudson and Miley Cyrus as judges and Carson Daly as host. What can you say about Davon Fleming’s performance? Share comments below.